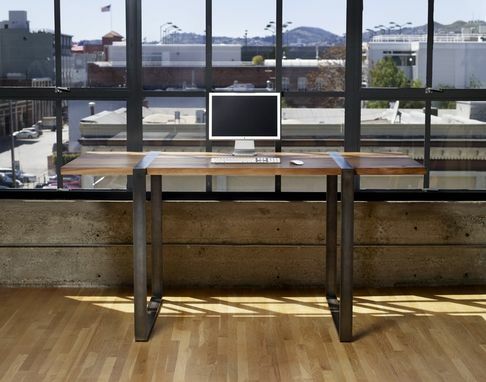 This desk was made to accommodate a photographer's preference for standing while using a computer. 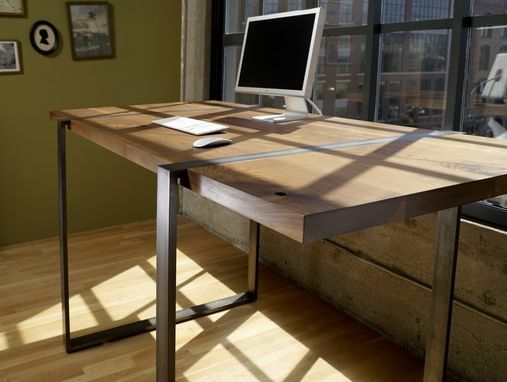 The design of the desk complements the industrial loft environment where it resides. 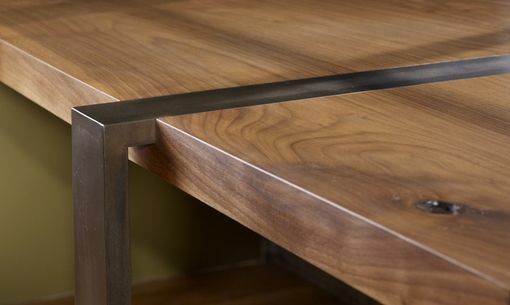 Materials shown are black walnut and cold-rolled steel. Many other materials and combinations available in the drop-down menus. Please contact me for custom options. 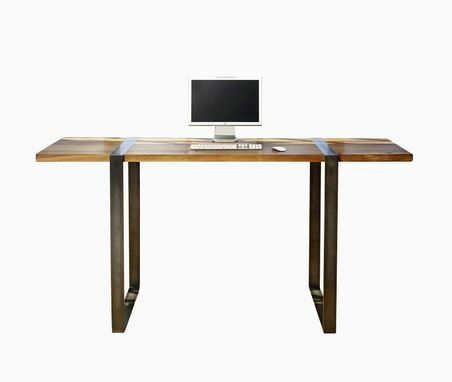 Size shown is 84" x 36" x 42" (for standing position). 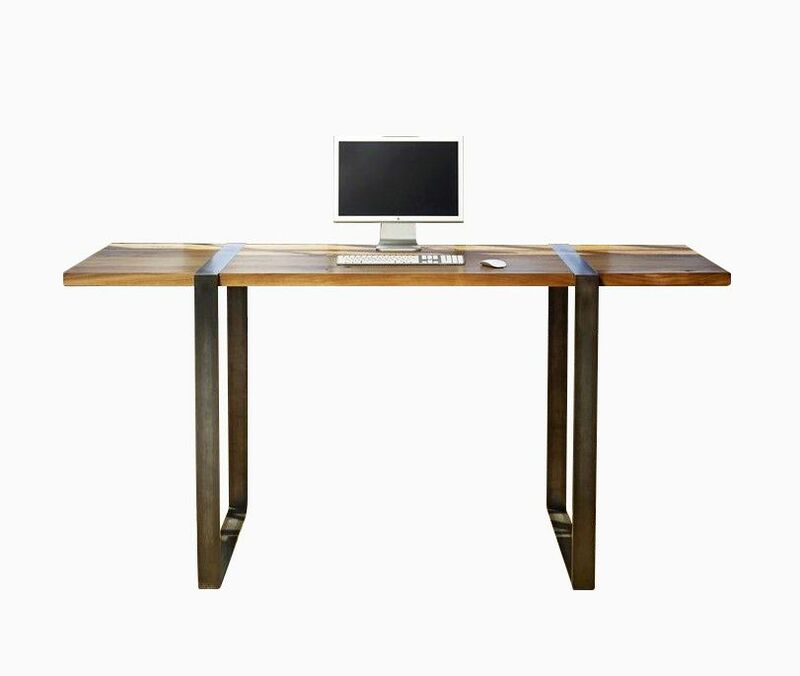 Desk can also be made at a standard height of 30" (for seated position).